It was last summer when dressable doll Momoko was born. 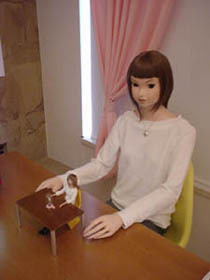 Namie Manabe, who is a founding mother of “PostPet” from So-Net, has made a dressable doll. The fact that Namie is a doll enthusiast is an origin of this project. “I want to make an original and cool dressable doll.” “I want to make a posh dressable doll not only for doll enthusiasts but also for all girls.” These hopes led to this doll and fashionable Japanese girls, who are hanging around Harajuku, Omotesando, Daikanyama…, were used as models for the doll. 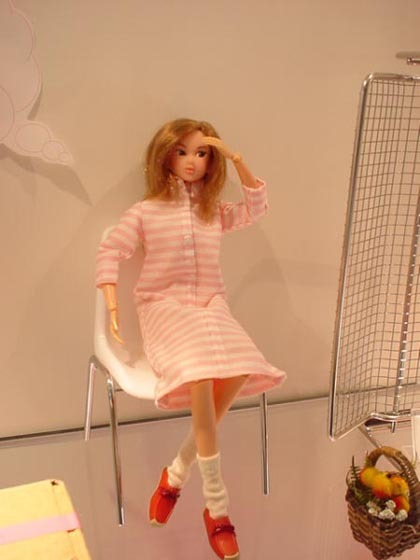 Momoko is a new type of dressable doll in vogue clothes and hairstyles. 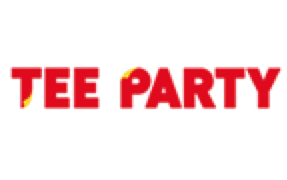 PetWORKs Co.,Ltd.All Rights Reserved. 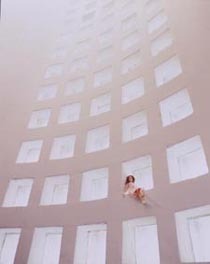 Photo: Mihoko Shida, 2002. Many ladies must have played with a dressable doll when they were small. After growing up it might have become a good memory. You can experience that old memory in this exhibition, at Hara Museum in Shinagwa, Tokyo. 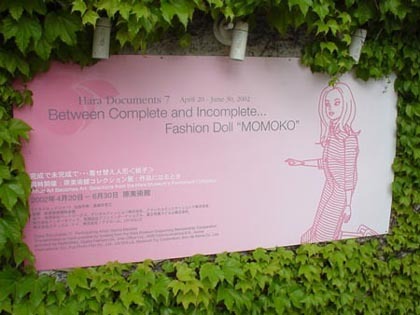 One can not only enjoying the installation of “Momoko” in original clothes, which were made in details by professional patterners, but also freely coordinate the clothes from a miniature closet. I played with Momoko but could not enjoy coordination enough because all eyes were turned on me. However, it is not so bad to enjoy this child-like innocent feeling by touching dolls directly. 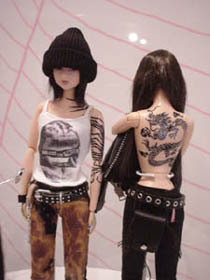 Various versions of “Momoko” were presented in the past but all of them were sold out the next day. It is a hard job to obtain it. Momoko has received support from not only doll collectors, but also a wide range of people without the gap of gender and age. 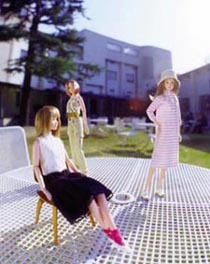 Momoko the limited version for the Hara Art museum, 2002. On the day when I visited the museum, I saw many families there and mothers seemed to enjoying more than their children enjoy. 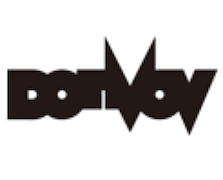 A new version of “Momoko” will be sold in June at the address below. For this release, the limited Hara Museum version Momoko will be sold as well. The advanced reservation should be made. 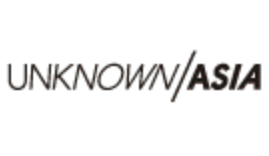 Fee for the lecture: Regulars 2,000yen (including the admission fee), Members 1,000yen. Booking must be made in advance (the number of seats are limited. Please book in advance).